Kasco's NEW Premium Nozzles offer splendid beauty above and beyond our included patterns for the 8400JF, 3.1JF, 5.1JF and 7.3JF Aerating Fountain models. They may be purchased separately and allow you to define your experience by selecting the Premium Nozzle of your choice. 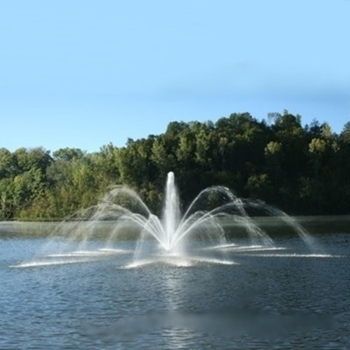 They simply fit on the fountain and are held in place with three set screws for easy installation and changing.